Wait a minute.. It's Monday AGAIN! This summer is flying by on me. I can't believe it! 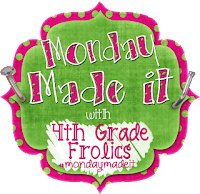 I'm linking up again with Tara from Fourth Grade Frolics and Jen over at Teach Mentor Texts to share what I've managed to read and make for the week. First stop is what I MADE since that is what I'm amazed I managed to do by myself!!! I mentioned last week that I was making a trip to Ikea while I was visiting family out of state. I <puffy heart> IKEA. We don't have one even remotely close, so I am always pumped for a visit when I go see my family. So since I've been spending more time with my computer because of Coffee Cups, I decided I needed to make a few changes to my desk area. Right now it is basically a card table in the middle of my living room. As much as I would love to have an office to myself, until my hubs finishes his PhD I'm stuck with the living room. But! That doesn't mean I can't get rid of the card table and use an awesome cool desk. So this weekend, I managed to put it together ALL BY MYSELF... Can I get a Woot Woot!!! What I really like is the fact that I can put up only one side. The picture above shows both sides up, but I'm going to leave one side down and hide my bankers book boxes underneath. I love the drawers in the middle. There are 3 on each side. Next stop is visiting with Jen at Teach Mentor Texts. Be sure to stop and see what everyone has read this week. A great way to find new books. Jen and a few friends are giving away a KINDLE FIRE! so be sure to enter for that giveaway too!! 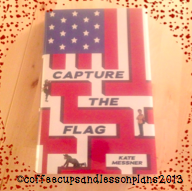 This week I finished Kate Messner's book Capture the Flag. 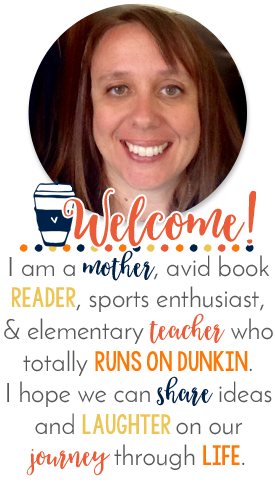 Kate Messner is one of the author's who is sponsoring the Teacher's Write Summer Program. Three kids get caught up in an adventure of historic proportions! Anna, José, and Henry are complete strangers with more in common than they realize. Snowed in together at a chaotic Washington D.C. airport, they encounter a mysterious tattooed man, a flamboyant politician, and a rambunctious poodle named for an ancient king. Even stranger, news stations everywhere have announced that the famous flag that inspired "The Star-Spangled Banner" has been stolen! Anna, certain that the culprits must be snowed in too, recruits Henry and José to help catch the thieves and bring them to justice. But when accusations start flying, they soon realize there's more than justice at stake. As the snow starts clearing, Anna, José, and Henry find themselves in a race against time (and the weather!) to prevent the loss of an American treasure. What I really liked about this book was the idea that it is the first adventure book for these kids. Messner does a great job of showing how different the three kids are. Each one brings strength to the group in his or her own way, which allows them to solve the mystery by collaborating together. 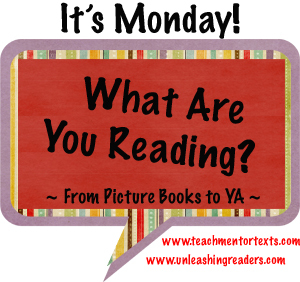 Next week I'm going to try to read Gingersnaps by Patricia Riley Giff and a few picture books I've had my eye on. I've also got a another Monday Made It project in the works. It's just taking me awhile to finish it. What are you reading and making? Let me know so I can stop by and visit you! I read "Capture the Flag" with my 5th graders this year. They enjoyed it! Loved Capture the Flag - and so did my students! I like anything that Messner writes-- such good stuff. Good luck on putting the desk together! Conquering Ikea is always a good feeling:)! 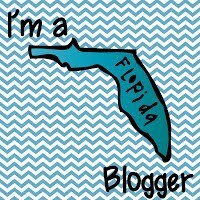 Love your blog design and color scheme. Kate Messner visited our school last year. It was awesome. Thank you for taking the time to comment. I will make every effort to respond back to you! Getting my Craft On and Mentor Text Monday! 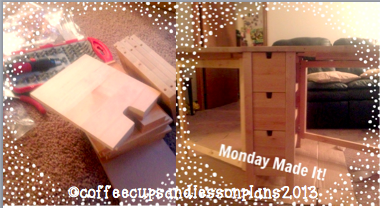 © 2015 Coffee Cups and Lesson Plans. Victoria Template designed by Georgia Lou Studios All rights reserved.